<img src="http://www.fightmichigan.com/wp-content/uploads/2010/02/maynard-250×169.jpg" alt="" title="maynard" width="250" height="169" class="alignleft size-medium wp-image-443" srcset="http://www.fightmichigan.com/wp-content/uploads/2010/02/maynard-250×169.jpg 250w, http://www.fightmichigan.com/wp-content/uploads/2010/02/maynard.jpg 358w" sizes="(max-width: Cheap Jordans 250px) 100vw, 250px” />We’re getting caught up, slowly, but surely. 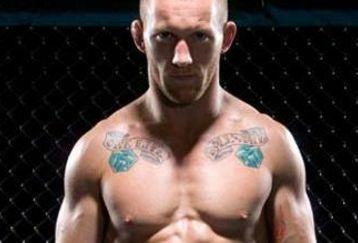 Over at UnfilteredMMA.com, Miss MMA (Jennifer Marie) had a chance to interview Gray Maynard. They talk about Wrestling at MSU, Rashad Evans, and his MMA Career. Head over to UnfilteredMMA.com to check out the Miss MMA Podcast. Tagged Gray Maynard, Miss MMA Podcast, Unfiltered MMA. Bookmark the permalink. We will start recording the call on a separate system for better sound quality for future calls, but it is a start. I would love for you to be a part of future calls, and I would be honored for any invite to work with your show.